This year I decided to first finish the two projects I had started in 2010 (I know its totally embarrassing! AND I made it one of my new years resolutions to finish ALL my knitting projects BEFORE starting a new one) that are laying in my stash basket - They both are socks which feel victim to the famous single-sock-syndrome. 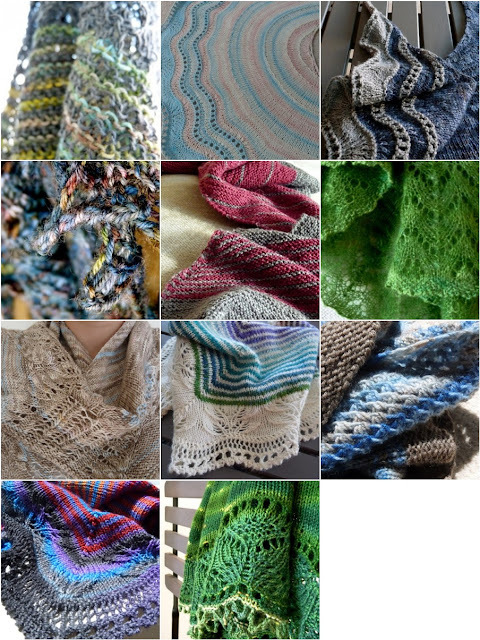 Well; have I mentioned that I love shawls? For more creative spaces visit here! congratulations, those 11 shawls are super beautiful!! what an achievement. yes, congratulations and they are all so pretty & each unique! wow! 11 in one year! and they all look great! i wish i had so much patience. i will be watching those 3012 projects closely!